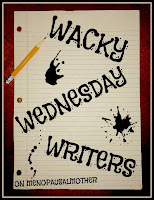 My third guest in the Wacky Wednesday Writers series is Rachel from http://taoofpoop.blogspot.com. I'll be honest---with a blog name like that, curiosity drove me to her site---and I've been hooked ever since. I've always felt a certain connection to Rachel, and was astonished to discover that we attended neighboring colleges in Columbia, Missouri, even though we are both east coast girls. We had a great laugh reminiscing over some of the hangouts we used to frequent in what was then considered a small college town. We are true "sistas," and there isn't anything I wouldn't do for this special friend of mine. 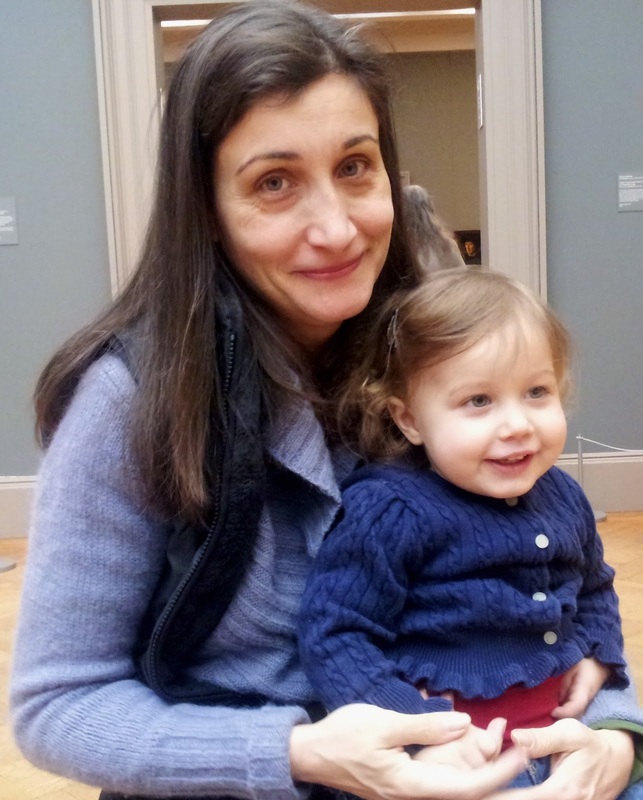 Rachel is a prolific writer whose blog resonates with many first time mothers. Her poignant posts validate all those feelings of overwhelming love mixed with ambiguity in the early stages of parenthood. 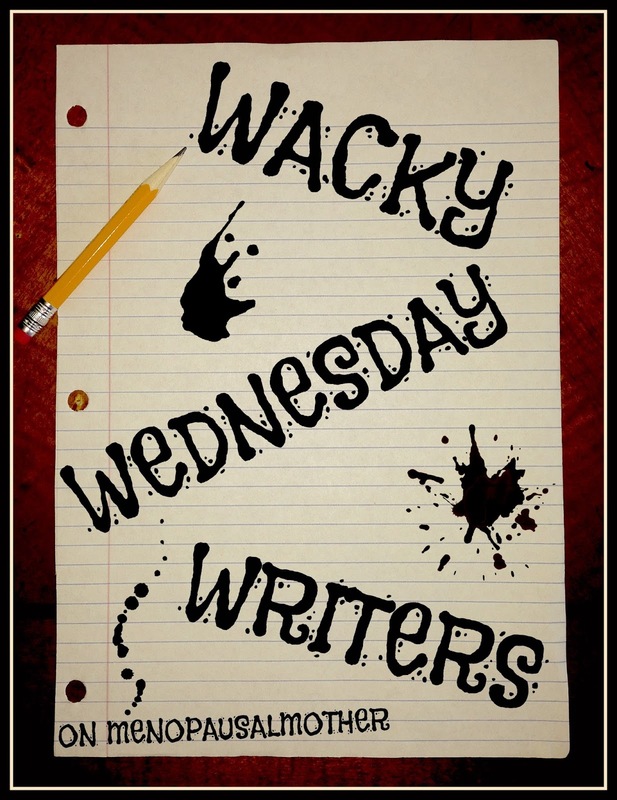 Please be sure to stop by her blog and check out this amazing, talented woman I am proud to call my friend! I'm a New Yorker. I've lived in the Big Apple just shy of twenty-five years. For much of that time, I lived blissfully in The East Village, a neighborhood that had its heyday when Peace, Love and Understanding were all the rage. 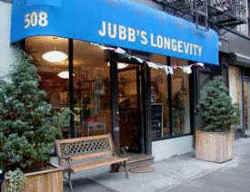 Appropriately, the East Village was home to a store called Jubb’s Longevity, which was around long before gentrification pushed the hippies aside. The store's proprietor, Jubb, was a Breatharian, a practitioner of the philosophy that it’s both possible and healthiest to live on air and light as your sole source of nourishment. Yes, you read my words correctly. Upon learning this fact from my friend who functioned as the unofficial mayor of the East Village, I said two things in this order: 1) "Only in the East Village" and 2) "What could they possibly sell in the store, if there’s nothing to consume?” My friend and I went in to find out. I recall books sparsely spread out on the shelves and maybe some teas and herbal cleanses. Needless to say, I didn't buy anything. Nor did I go back to Jubb's Longevity again. I hadn’t thought about the store in years. Recently, I found myself nostalgically longing for the days of Jubb. I had just read an article on the internet that rice, the proverbial health food, may contain arsenic. "Hmm, am I really slowly poisoning my two-year-old daughter, Claire?" I thought. "Great. Now what?" Why is it that seemingly innocent internet searches suddenly lead me to any number of doomsday proclamations? I swear; I do not go looking for this stuff. I'm just trying to feed my child. I google "healthiest cereal" only to find out my box of corn flakes may be laced with "excitotoxins." Legumes are a good choice, but they just might be filled to the brim with "phytates." Do I know what excitotoxins and phytates are? No, but evidently they are bad. Do I believe that they are bad? I haven't a clue. My favorite is when I googled “how to make your own bread”. I stumbled upon an article called: “Is Wheat Evil?” Come on; you can call yourself a Paleo proponent or an Atkins enthusiast. Really, I'm down with everyone's choices. But, people, wheat is not evil! I'm beginning to wonder if it's the internet that's evil. It has officially driven me crazy. Particularly because I have no idea who to believe, anyway. I can find the opposite viewpoint on another site just as easily, argued by people just as vociferously with just as much research to back up their claims. The saying goes that knowledge is power. I say the World Wide Web has turned knowledge into paralysis. Which brings me back to Jubb…Maybe, he was on to something. Maybe, he was ahead of his time. Maybe, it would be easier to live on air. Since that’s clearly not possible, I intend to stop googling altogether. Ignorance is bliss -- A truism that has been around much longer than both the internet and the Breatharians. I remember being told by my OB/GYN when I was pregnant and having some spotting not to use "Dr Google", because it would give me the worst case scenario. Sounds like a similar thought as to what you were finding here. I must say that you are right sometimes ignorance is bliss!! "Dr. Google" is a quack, Janine! He is not a nutritionist either. Whahaha. I got some bacterial infection in my sinuses and was told to definitely not google the name of the bacteria. I ended up on a month of serious antibiotics and an operation, and apparently I came off lightly. I never did google it, but only because I couldn't, for the life of me, remember the name. That's another thing about the internet. You go to one source, and it suddenly opens up overwhelming amounts of information. You are so right to make sure you have enough time to try and make sense of it all! Ignorance is bliss is spot on. There's just too much info out there and it would drive me stark raving batty to even consider reading it. Right, Shelly. So much information, and then who to believe? I'm just as ignorant AFTER I have gotten the information! Very true that ignorance is bliss. Sometimes a person is just better off not knowing it all. I know. I can't get that phytate thing out of my head now. What good is that piece of information to me? As you said, there's so much information out there and it all contradicts that last thing you read. I have a new philosophy: don't believe it unless you've read it on a friends' blog. Works for me. Amen, Karen. Listen to this blogger who says, don't listen to the internet! Agreed! I like to find a real relaxed down-to-earth meat-eating doctor and ask them about decisions, so I can say "My doctor said red meat is fine." and only add 'in moderation' in my head. p.s. I love the word "excitotoxins" it totally sounds like a word I would make up, like "obnoxigen" which I breathe a LOT of, having a teenager in my house. I like your made-up words tons better than the ones the internet makes up to scare me, Joy! Thank you. WebMD will turn even the heartiest of people into hypochondriacs, Jenn! Marcia, awesome share with Rachel here today! I love it! And yeah, Google is a mean one. Search too long and all paths lead to death there. Horrible and painful, disease ridden death. I've never heard of the Breatharians before. Maybe Jubb was onto something. I'll bet my pants would fit better if I learned to live on air and light rather than on cheese and wine. Nah. Ignorance is bliss. So are wine and cheese. Hmm, I hadn't contemplated this Breatharian idea fully, Kristi. When you frame it like "I'm going to have to give up wine and cheese", I suddenly am not so sure it's a great idea! I don't know about giving up cheese and wine too, ever @rachel @Kristi! I agree on the doomsday stuff that seems to come out of the woodwork not only when you Google but I'll be eating something when the journalist on the TV would say why I shouldn't eat what I like anymore..life goes on!lol! Yes, I think I'm just going to stop googling, not try to eat air. My philosophy is live the healthiest you can and don't sweat things that are hard to change, like arsenic in rice. We can't live forever and a little arsenic isn't going to kill you. I think our bodies are stronger than we think. Sheila@The Frugal Exerciser. You are right. There is absolutely nothing I can do about the arsenic in my rice, Sheila! No, I couldn't do those diets either. The funny part is that my husband is doing Atkins right now, Launna! Oh Rachel I feel this way all the time. You can't consume anything any more without being told it's bad for you in some way. My most recent experience is with stevia. Artificial sweeteners=bad. Stevia=good. So I quit buying the artificial sweeteners and started buying the bags of stevia that supposedly measures similarly to sugar. After consuming that for awhile, come to find out that's terrible for you too. I GIVE UP!!!!!!!!!!!!!!!! !